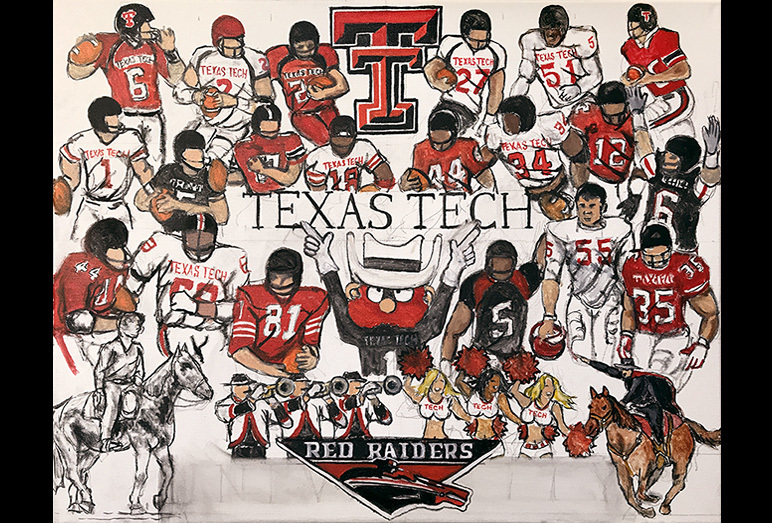 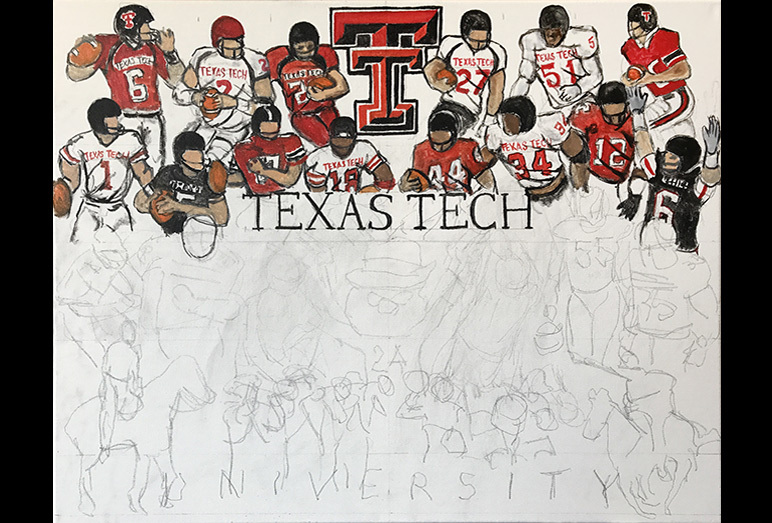 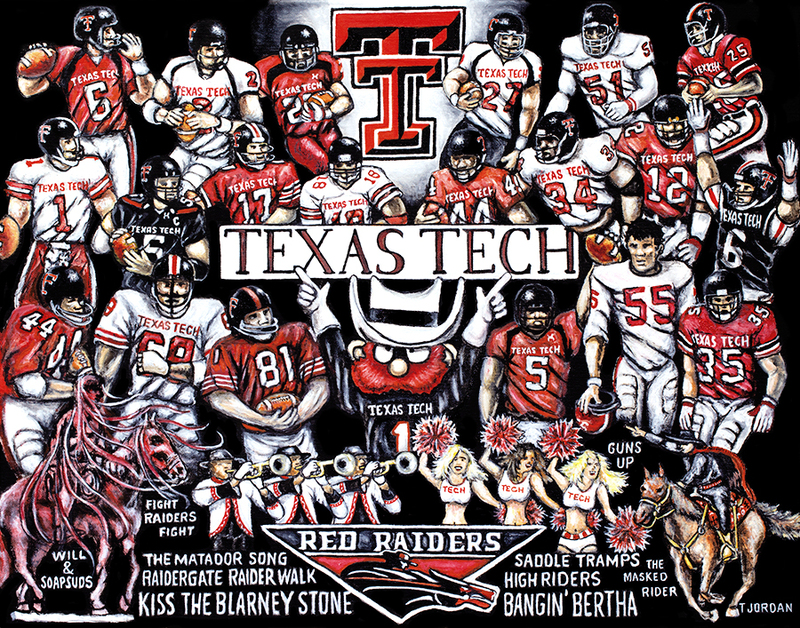 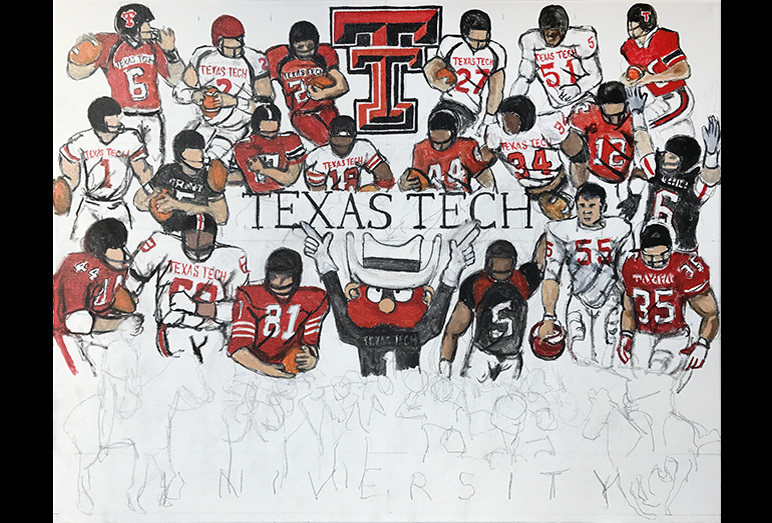 Texas Tech Red Raiders Tribute -- Painting Progression -- Use controls to view all images. 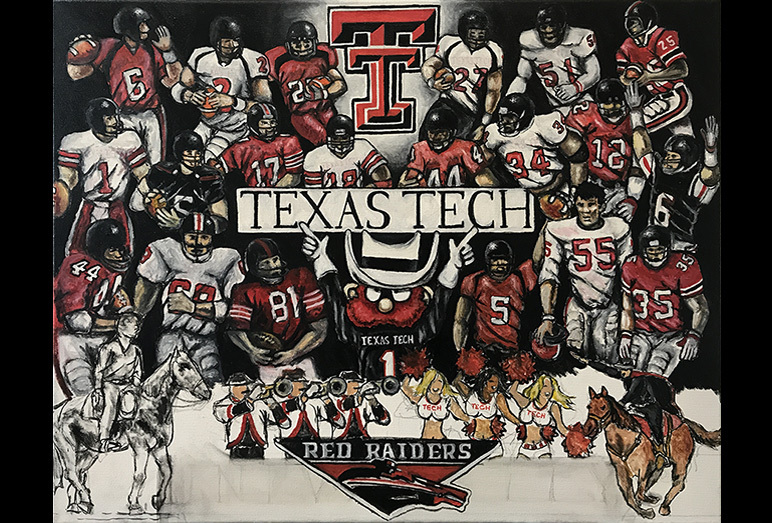 Tom is very excited to introduce another new commissioned painting, a tribute to the Texas Tech Red Raiders football program. 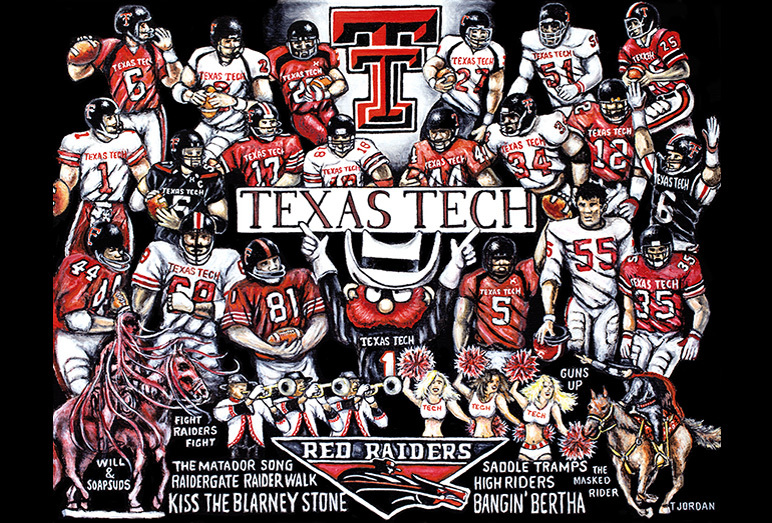 Texas Tech is a member of the Big 12 Conference. 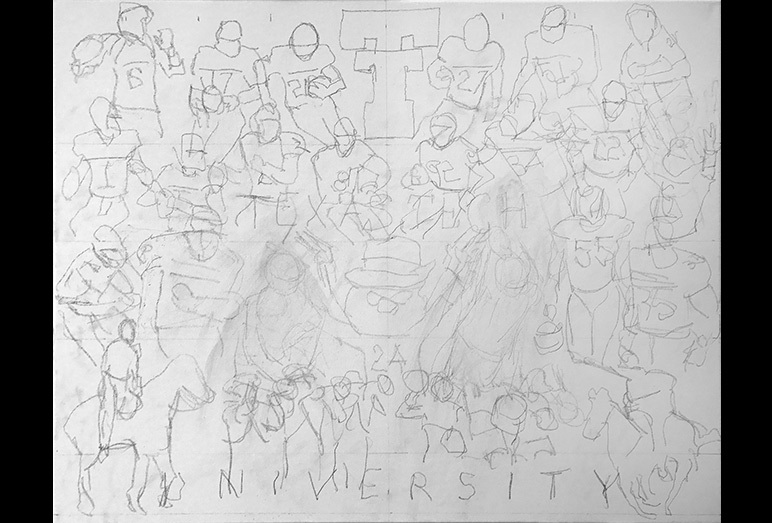 The football program began in 1925. 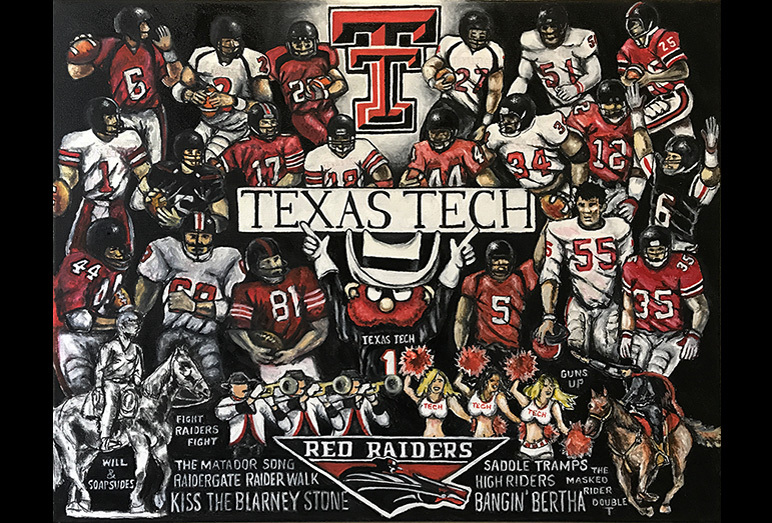 Enjoy this tribute to a great, storied college football program complete with it's football legends and traditions that make Tech alumni so proud. 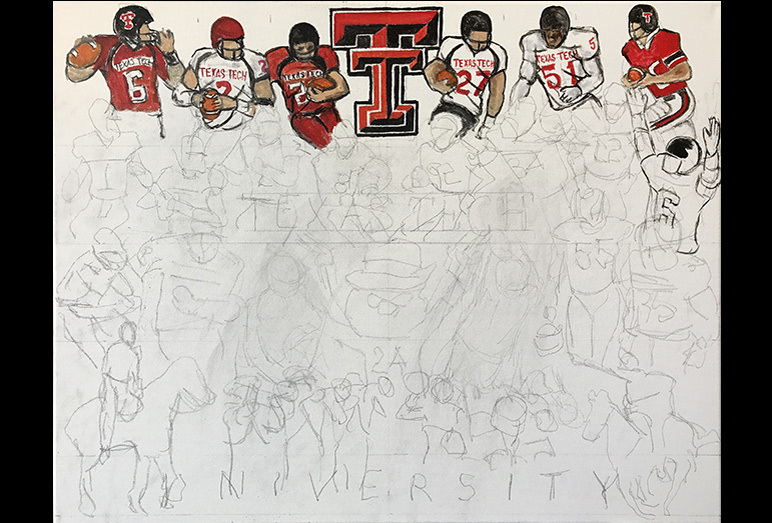 Row 4 -- Will Rogers & Soapsuds, The Goin' Band from Raiderland, Red Raider Logo, Texas Tech Cheerleaders, The Masked Raider.